By Baski, Inc. based in Englewood, COLORADO (USA). We have designed and produced several of our own monitoring and sampling products to make field work easier - we call them field assists. By Groundwater Science Corp. based in Waterloo, ONTARIO (CANADA). By Geoscience Testing Laboratory based in Dubai, UNITED ARAB EMIRATES. By Natural Resources Development Co-operative Society Ltd. (NRDCS) based in Himayathnagar, INDIA. Schlumberger is the gold standard in subsurface evaluation and monitoring technology and services. EDN is proud to have been selected by Schlumberger as a distributor and certified service provider of its Westbay multi-level groundwater monitoring and sampling system. By Earth Data Northeast, Inc. based in Exton, PENNSYLVANIA (USA). By Carylon Corporation based in Chicago, ILLINOIS (USA). By Quantum Geotechnical based in Llanelli., UNITED KINGDOM. Increasingly stringent standards for trace levels of contaminants such as chromium, arsenic, nitrates, and TCP in combination with a surge in demand for groundwater resources have led to a need for more efficient and precise well characterization. By Best Environmental Subsurface Sampling Technologies, Inc. (BESST) based in San Rafael, CALIFORNIA (USA). 3 in. 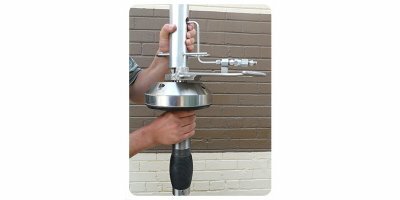 to 8 in diameter holes.Perforated Sections from 5 ft to 100 ft (Double Packer Application).Water Sampling Between Packers.Monitoring Water Levels During Pumping Test Above, Below and In- Between Packers Using Transducers to Confirm No Leaking Around Packers.Falling Head and Constant Head Testing via Pump-In and Pump-Out Methods. When our clients are investing millions of dollars in a project, they need to know everything about the project site. They also need to know how construction materials might affect their project and its end users. By Maslen Environmental Ltd. based in Saltaire, Shipley, UNITED KINGDOM.